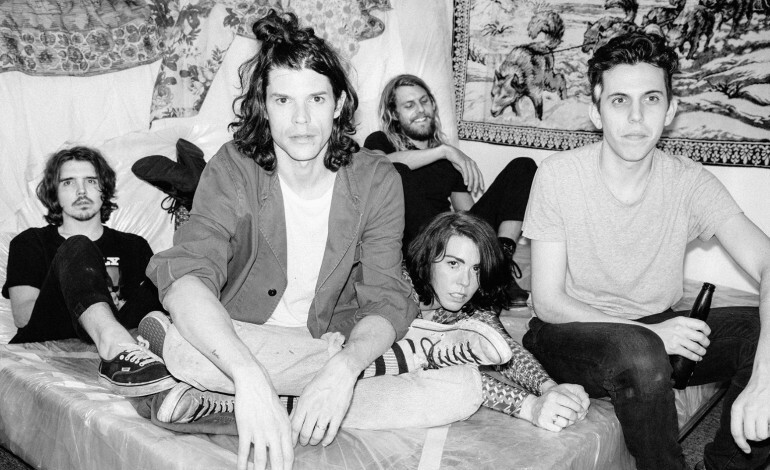 Grouplove is an indie pop/rock band based out of Los Angeles, California. Their music combines elements of dance and alternative rock. Most Grouplove songs are filled with catchy, recognizable hooks, and you’ve no doubt heard their song “Tongue Tied” in a commercial or two. They initially got their start in New York, when keyboardist Hannah Hooper met guitarist Christian Zucconi for the first time in the lower East side of Manhattan. Hooper and Zucconi sparked a romance, and in a matter of 48 hours of meeting each other, they moved to the Greek isle of Crete to live in an artist’s commune. After meeting fellow musicians Ryan Rabin, Andrew Wessen, and Daniel Gleason, they left the commune and moved to Los Angeles. On one particularly boring day in LA, the quintet found themselves in the studio, recording tracks just for fun of it. After some time of collaborating with each other, the group finally established themselves as a band, and went on to release their debut self-titled EP which garnered generally positive buzz from media outlets. Critics likened them to other indie pop outfits such as Passion Pit, MGMT, and The Killers. Grouplove is currently touring to promote their latest LP, Big Mess, which was released back in September of this year. For every ticket sold during the Big Mess World Tour, one dollar will go to the funding of water projects to help bring clean water to communities around the globe. You can check them out at Stubb’s on the 18th. However, due to popular demand, they’ve also added a second day on the 19th as well.